Occasionally, a modern web developer will encounter the need or the desire to install an NPM module globally on his or her machine. This may become a more common need amongst the ASP.NET development community, especially when considering the release of ASP.NET 5 and its embracing of Node.js with NPM. The increasingly popular Webpack module is one great example of where this approach is recommended. For those unfamiliar with this global module installation process, think of it conceptually as registering a DLL in the Global Assembly Cache (GAC) with the gacutil.exe tool. In this example, the DLL is equivalent to an NPM module such as Webpack; and, the GAC is equivalent to a Windows user’s roaming profile, by default. 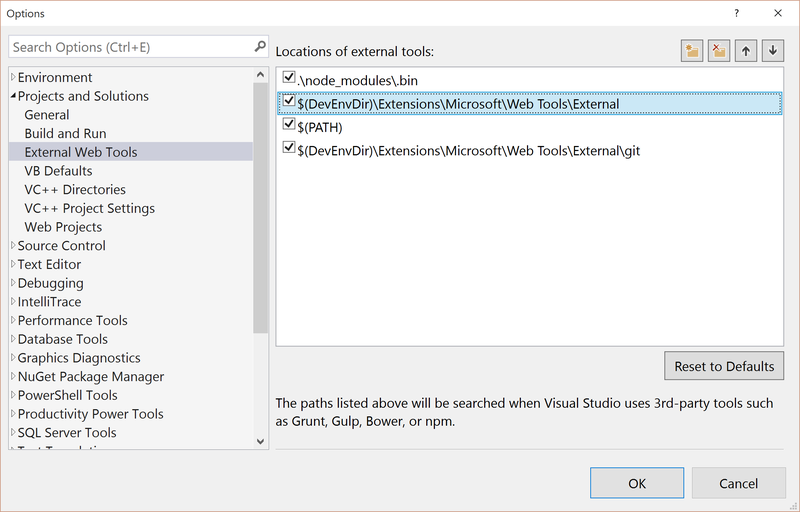 As an alternative or a supplement to the roaming profile, that location could be Visual Studio’s installation directory, which by the way, the IDE scans to discover external web tooling. In the enterprise development world, this installation process is cumbersome. This is especially true if the installation needs to be replicated across 20+ other developer’s machines. For the sake of efficiency, it’s best to automate that process through some sort of scripting. The team’s application architect should identify an effective strategy for tackling this and automate it. Very recently, I had a strong use case for this type of automation. The project team was new to NPM, and it was obviously most important to focus on solving the business problem. Project setup has always been one of those cumbersome tasks for me. If there’s a way to ease the pain and to save time, rest assured that I’ll give it a try. What’s the purpose of these two components? The install and uninstall functions are clever enough to detect whether a module exists; the spawn function lacks this level of sophistication. Because of the aforementioned knowledge, the install function will only execute the underlying npm install -g command when absolutely necessary. 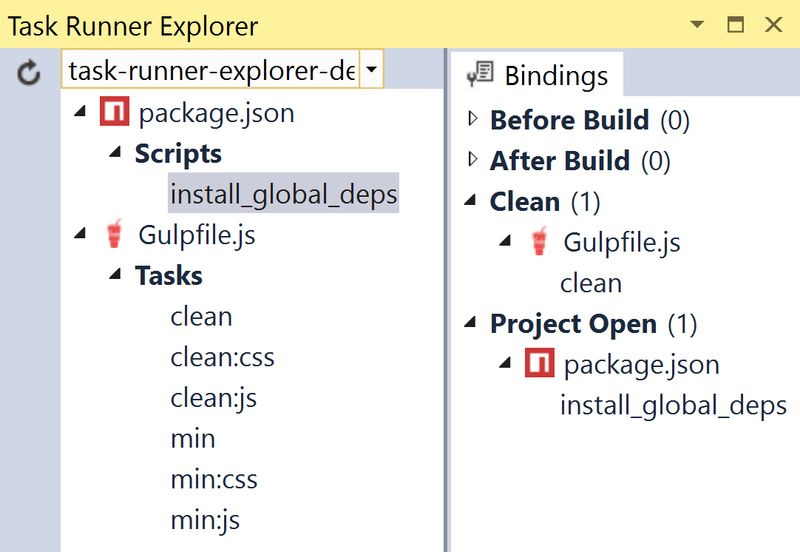 As an alternative to creating the bindings via the Task Runner Explorer UI, these bindings can be defined manually within the package.json file. Thankfully, intellisense is provided to make this chore more approachable. There are a couple important components to note in this output. 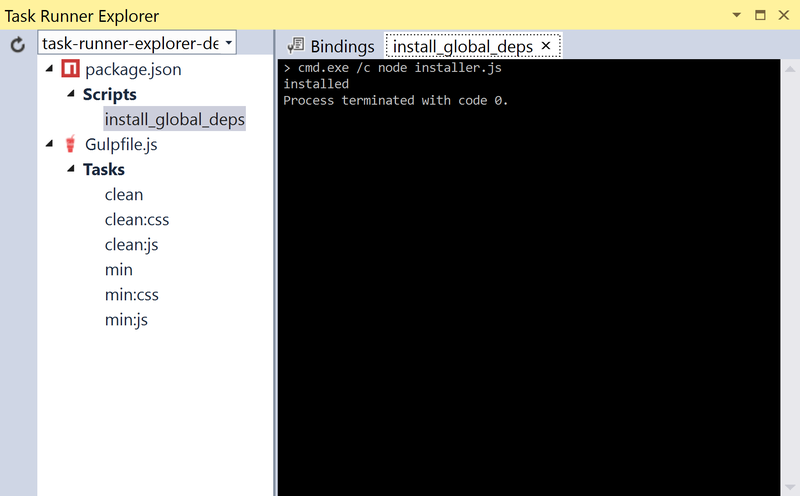 As you may recall, the installer.js file included a console.log statement in the install function’s callback. 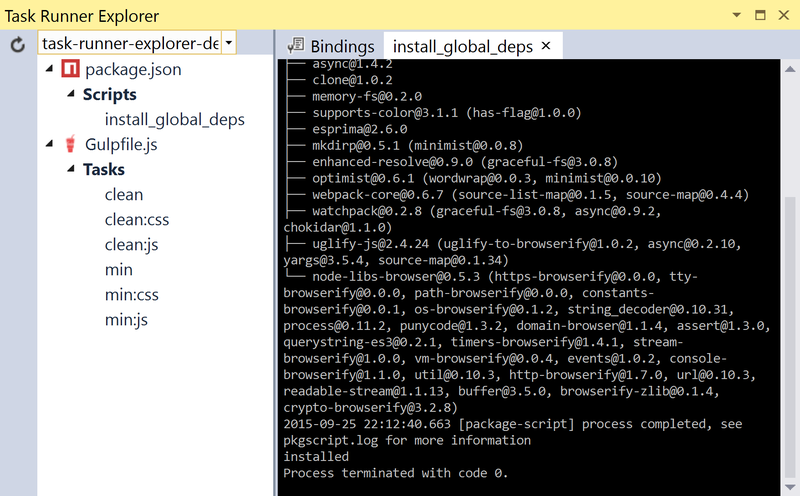 That log statements yields some “installed” text, which appears near the bottom of the console output. Secondly, it’s clear that the npm command was executed, since that output appears here as well. This approach will undoubtedly save you time, particularly in large team environments where system-level NPM modules must be used. 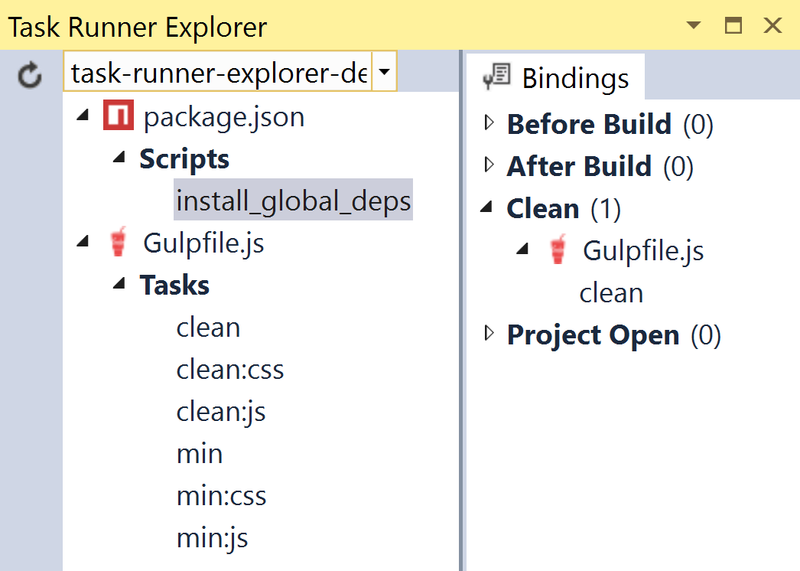 If the same module is being used over and over again across projects, then global module installations may make sense. 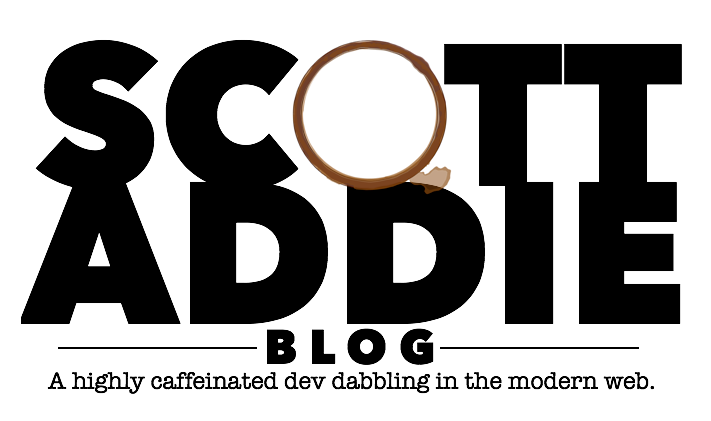 My rule of thumb has been to install locally first and to promote to global on an as-needed basis only. Of course, there are some modules which highly recommend installing globally, in which case this advice takes a back seat. As you can see, there’s a bit of setup required to ease the pain in automating global installations, but it can be achieved.